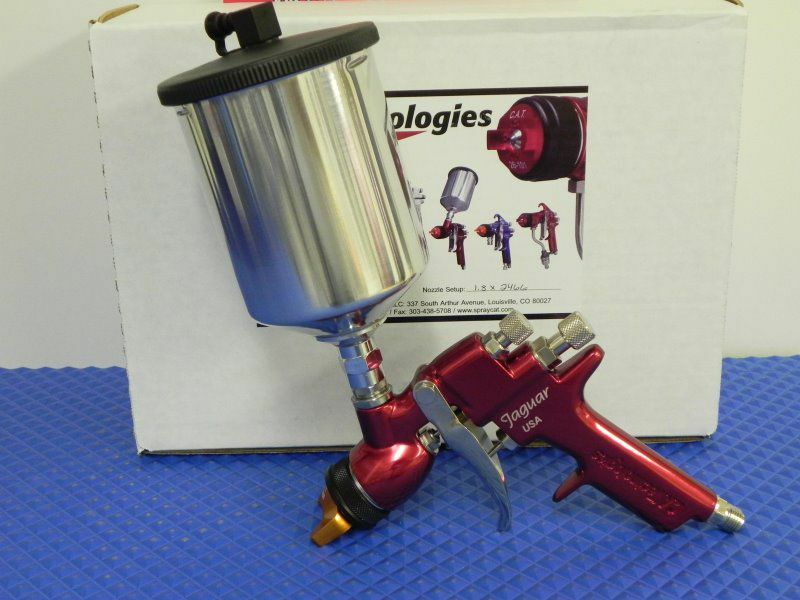 You already know how to use these spray guns-Proven technology IMPROVED. 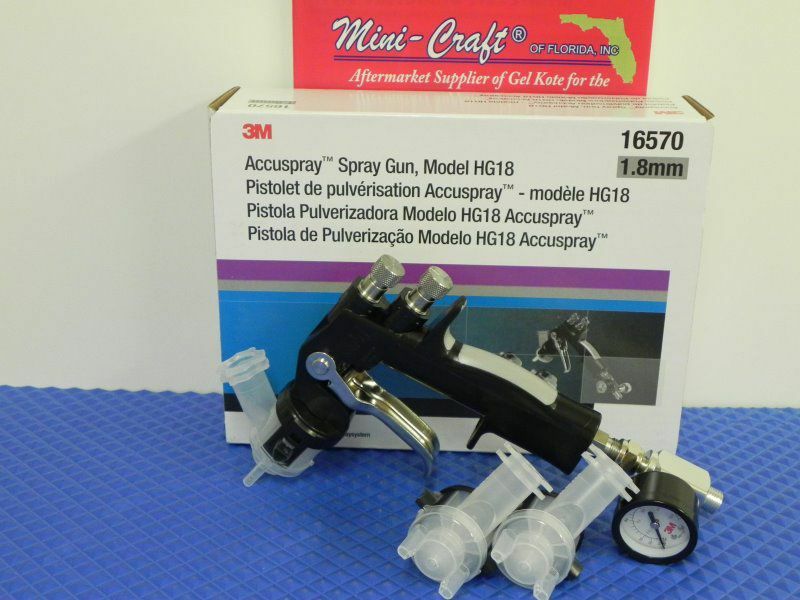 **Please specify materials to be sprayed in the Comments/Special Instructions box on the order page, to ensure we ship the proper nozzle setup. ** Please specify materials to be sprayed in the Comments/Special Instructions box on the order page, to ensure we ship the proper nozzle setup. 3M ECONOMY SPRAY GUN PPS SYSTEM. STANDARD TIP IS 1.8mm AVALIALBE EXTRA 2.0 RED SPRAY HEAD. PPS CUPS ARE NOT INCLUDED. 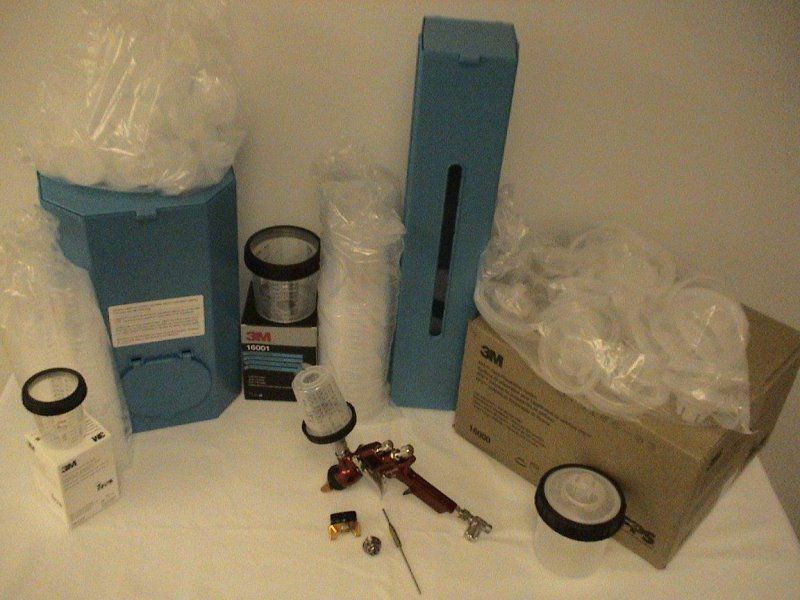 ORDER 1 3M16115 HARD CUP & 3M16114 LIDS AND LINERS. 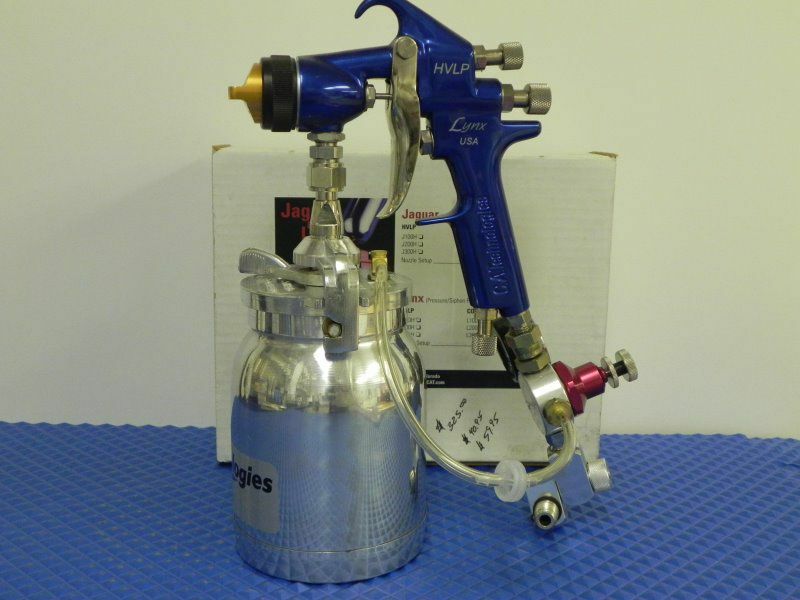 The J100c Spray Gun Is Great For Spraying Primers, Gelkotes, And Poly Flake. This Gun Can Spray The Smallest To The Largest Gelkote Repairs. 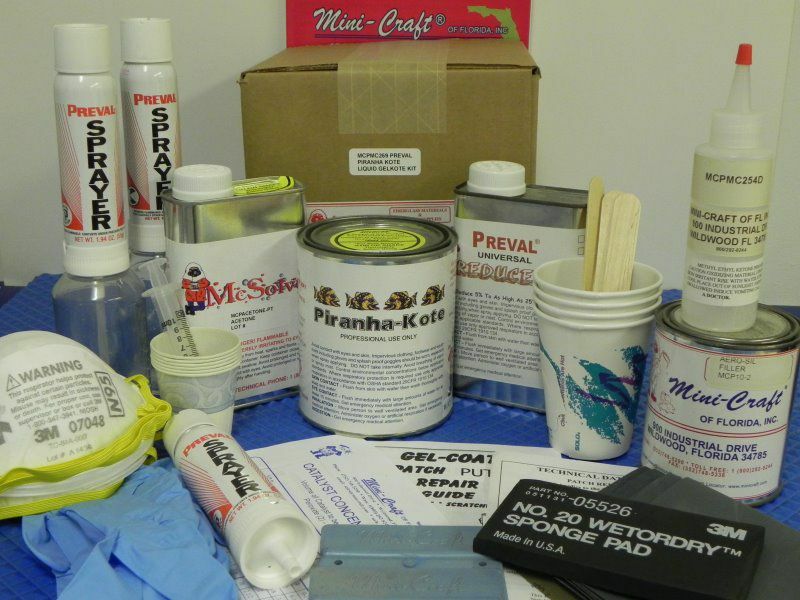 Easy Clean Up, And All Parts Are Able To Be Put In Any Type Of Solvents. The Spray Gun Will Spray With Very Low Air Pressures, With Minimal Over Spray. Gelkote Will Have A Very Smooth Finish That You Can Sand Starting With 600 Grit, Then 800 Grit Sandpaper, And Ready To Buff. C.A. 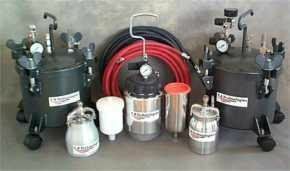 TECHNOLOGIES GRAVITY FEED CONVENTIONAL SPRAY GUN. DISPENCER KIT WITH 50 MINI 5 ONCE LIDS AND LINERS. 2 HARD PPS CUPS WITH MILAR MEASURING SHEETS.